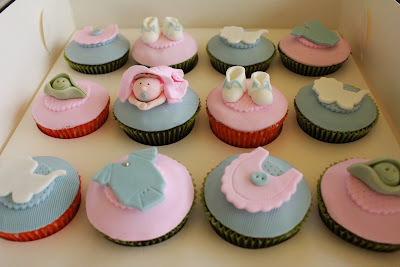 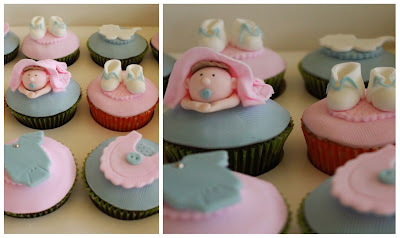 A first time grandma organised these little cupcake treats as a surprise for her daughter's baby shower. 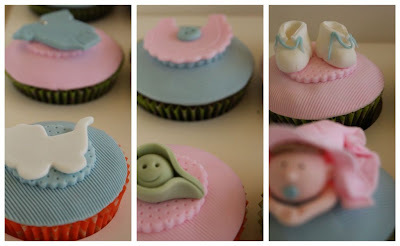 I am sure that everyone would've been very impressed with grandma-to-be! 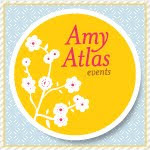 Congratulations on the arrival to come!